OKARA: A woman, mother of a child, died after being poisoned by in-laws here. M Arif of Matanwala village near Haveli Lakha married off his daughter Sabaa Bibi to Imran of village 1/4L near Okara about three years ago. The other day, he arrived at village 1/4L to meet his daughter. But he came to know that she was admitted to Jinnah Hospital, Lahore. When he reached the hospital, he came to know that Sabaa Bibi had died. He got a case against her husband Imran and mother-in-law Shamma in which he accused them of poisoning Sabaa Bibi. 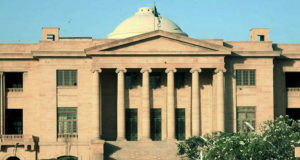 The police registered a case against the accused. According to police sources, the accused suspected character of the deceased.